First of all, I would like to say that I have officially survived my first week of sub-0 winterdays with minimal whining and my contact lenses not frozen to my eyeballs. So, success! To be honest, it’s really not that bad (except for the dryness. it once got so bad i had to rub chapstick on my face); it’s actually quite pretty, but I’m still honeymooning over the fresh blankets of snow and the anticipation of a spontaneous snowball fight breaking out (the #1 thing i’m waiting to happen in my life, next to getting waken up by a dog jumping on me), so maybe the worst is yet to come. Anyway, while I was back home for the holidays, enjoying non-winter, cafes, cafes, and eating dim sum next to a Chinatown mob boss (I KNOW. RIGHT?! ), I was finally able to finish a project that I had been working on since October. Now that it’s January and the coldest ever, though, it’s a bit out of place. But oh well. 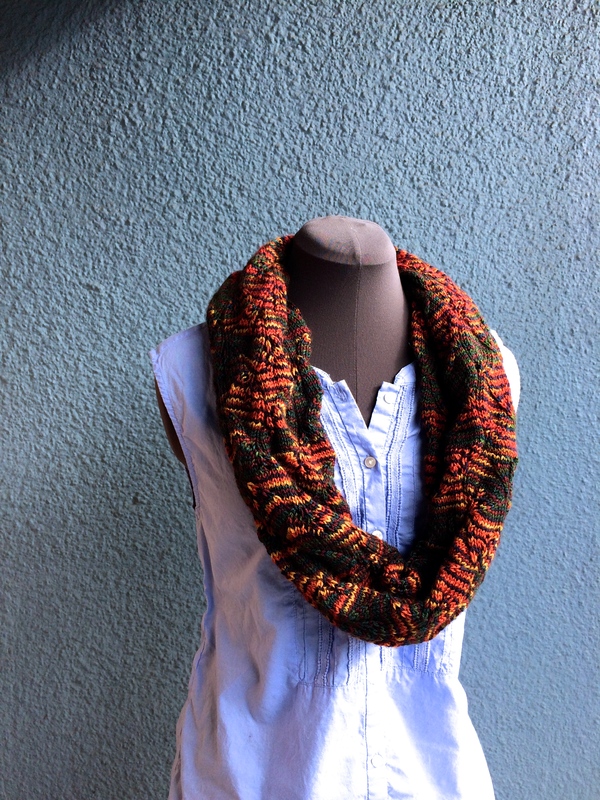 I originally intended for it to be a fall cowl, because the colors are essentially the epitome of autumn (autumn incarnate. inyarnate. 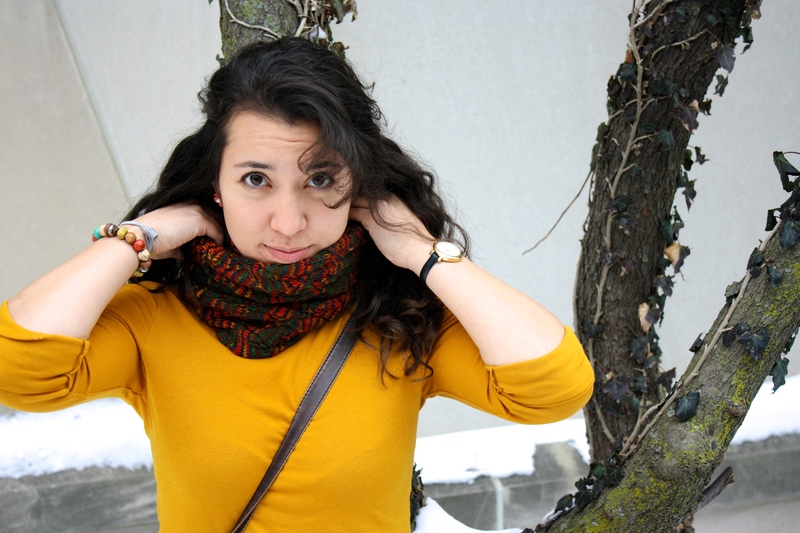 ), but I guess now it’s a winter cowl. 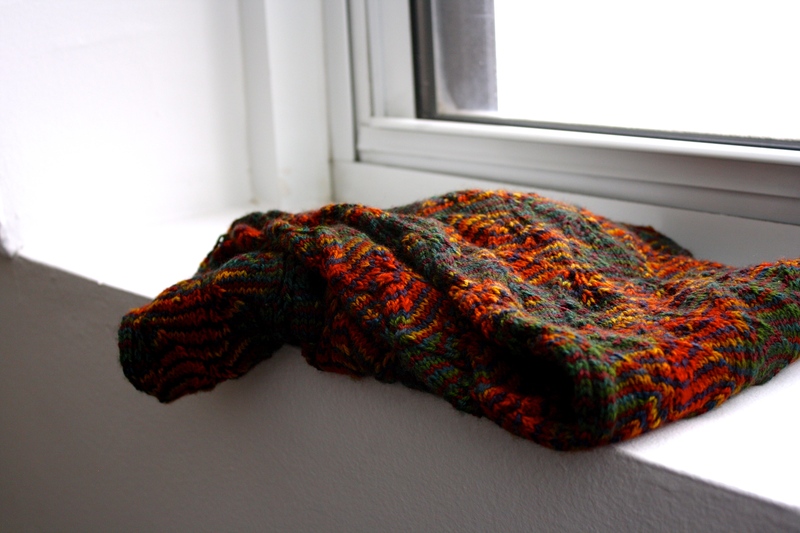 Regardless, let me just say that this yarn is effing gorgeous. I know that doesn’t really sound like me or anything I would say, but it’s true. 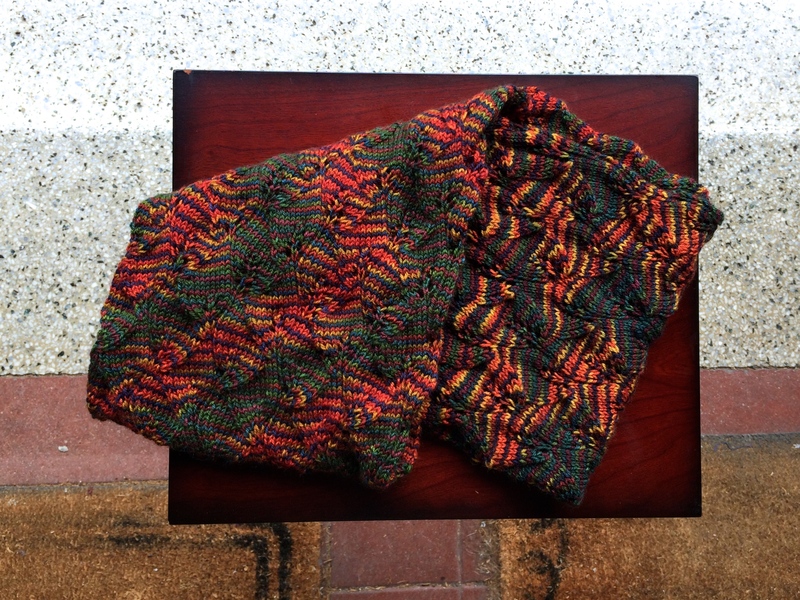 It’s spun and hand dyed by Three Irish Girls (the same company that made my chevron beanie), and when I saw the rich tones of red and green, it just blew me away (#onechineseboylovesthreeirishgirls). Seriously. I don’t think I’ve ever had such a visceral reaction to an inanimate object before (except that time i tried kombucha). In fact, I liked this yarn so much, that I decided to immortalize it by writing up the pattern I made, which is available here for FREE! The pattern will be on Ravelry shortly (i tried earlier but i messed up and then the lady in the online help chatroom got mad at me so now i’m scared to try again), maybe. Okay. Last picture. I promise. Anyway, Christmas tends to be a busy time for me (not an uncommon sentiment), since I alternate between knitting/Netflixing in hyperspeed and catching up with (what are now long distance) friends, but usually I find the time to write about all of the things I’ve knit for people as presents, lengthy posts complete with humble brags and (not so) self-deprecating parentheticals. Unfortunately, December this year seemed to slip past me, and I find myself writing this 12 days shy of the holiday season. 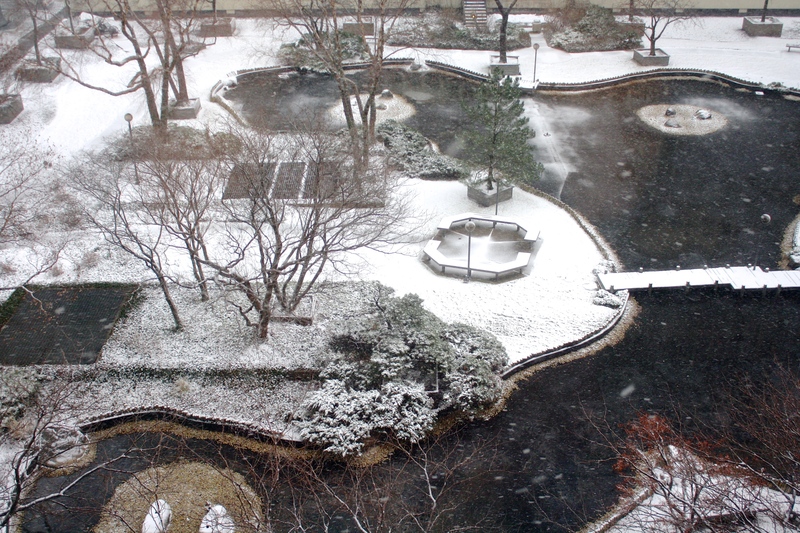 But when I think about it, maybe it’s a good thing that I wasn’t able to write anything until now. Had I documented these presents in December, I would have probably spent a good 2-3 paragraphs writing about my own craftsmanship, going through each one with punny quips, somehow linking it all together to my Christmas activities (‘Hats, Headbands, and Trivia Crack’). I’d have also made more jokes about Katie. 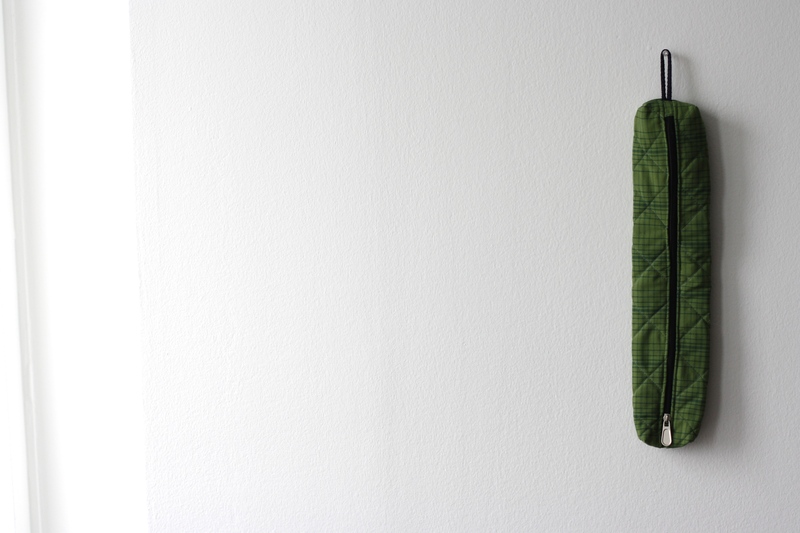 A cloth case for my knitting needles, sewn by Connie, who, aside from being an expert seamstress, also paints, swims, and lies about having seen TV shows that come up in conversation (‘there’s always money in the banana stand’). Flight of the Conchords, painted by Viktor, whose glasses I once knocked into an open cadaver and who always compliments my clothing decisions and makes me feel like the belle of the ball. Why Flight of the Conchords? Because 2 minutes in heaven is better than 1 minute in heaven. 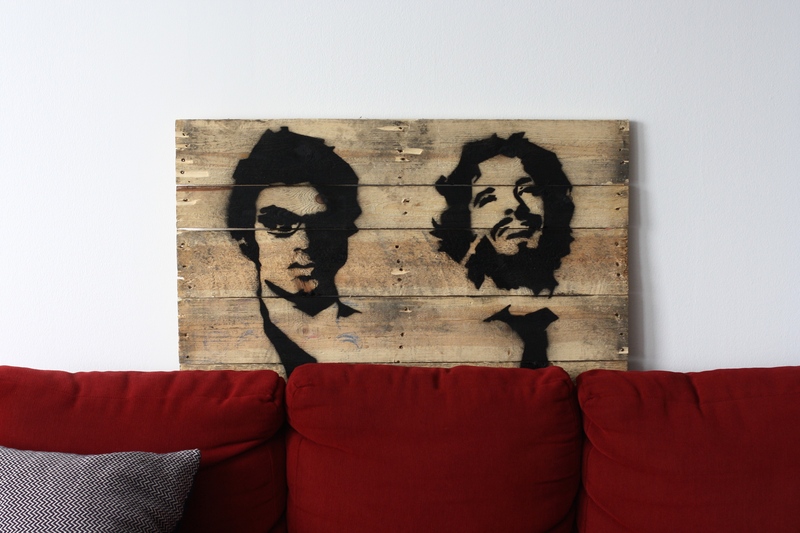 Also, because we really like Flight of the Conchords. Maybe it’s the fact that I often isolate myself as a guy who knits, but I sometimes find myself thinking that I am the only one that is surprising, unexpected, that an eclectic set of interests is somehow a rarity reserved solely for me. I don’t really believe that, of course, but I don’t really not believe that either (welcome to my blog). Having been knitting for 11 years, I have knit a lot of presents for a lot of people (except Brennan, who never lets me forget it), to the point where I know what their reaction will be. 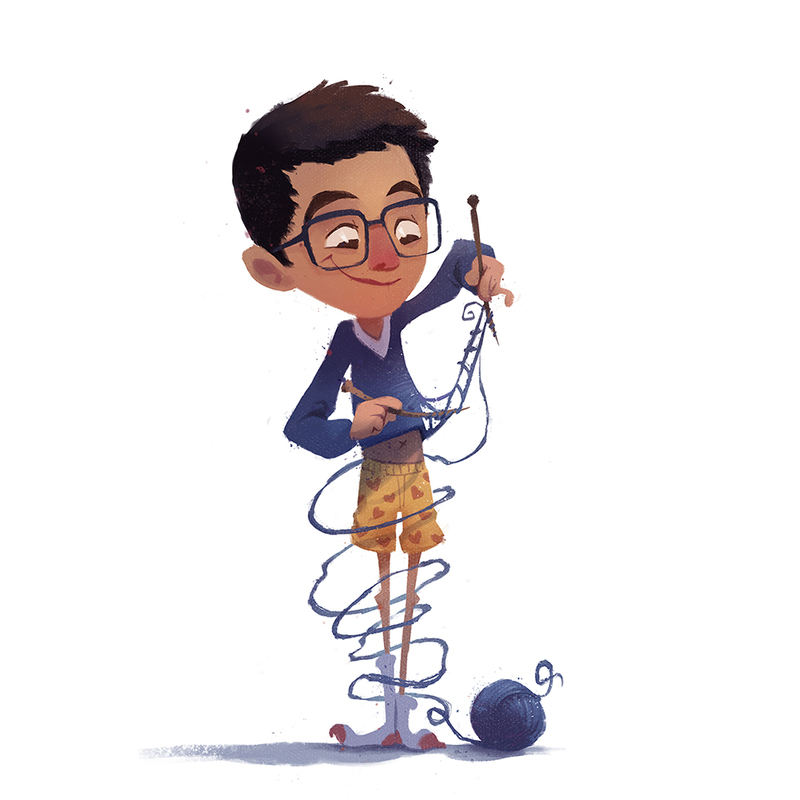 And as a man without a shortage of insecurities, that shock of being made out as a male knitter is euphoric and reassuring, something I thought I never wanted to lose. But now that I am where I am, and I can admire Bret and Jemaine spray painted on a grocery store crate lid in my living room, or fearlessly bust out my most masculine knitting accessory ever, I am so exceedingly glad and grateful to not be the only one giving gifts. ***In the U.S. armed forces, those who are ‘at ease’ may move everything but their right foot. Thanks! I’ll be posting a pattern a pretty simple pattern for the headband soon. And yes, that yellow is ridiculous.